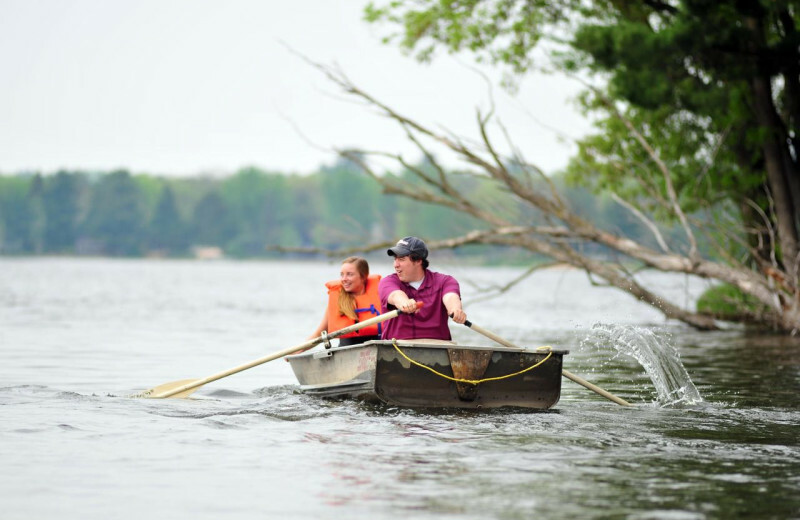 A Rustic & Relaxing Wisconsin Dells Getaway on Lake Delton! 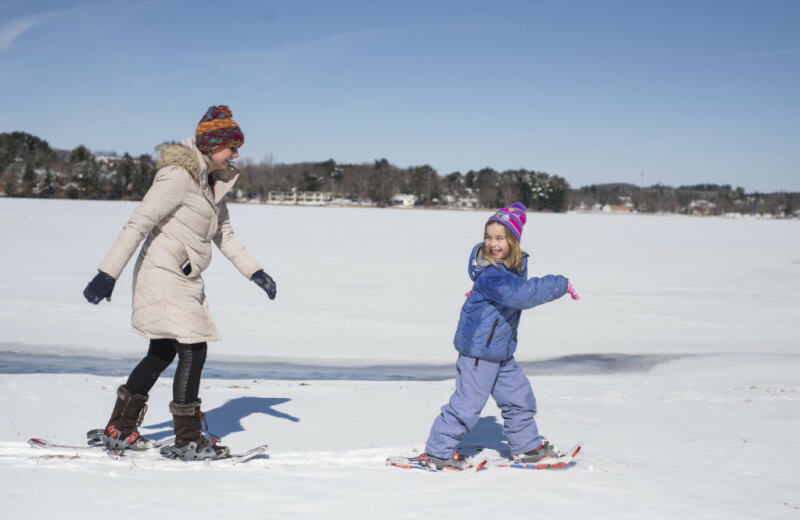 Festivity and serenity are yours on the renewed Lake Delton in Wisconsin Dells. 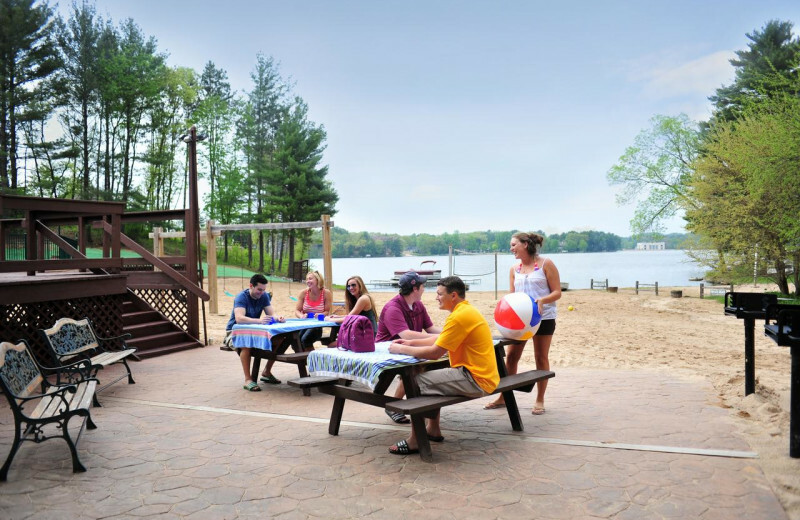 Baker's Sunset Bay Resort is located on five wooded acres overlooking Lake Delton in the famed Wisconsin Dells. 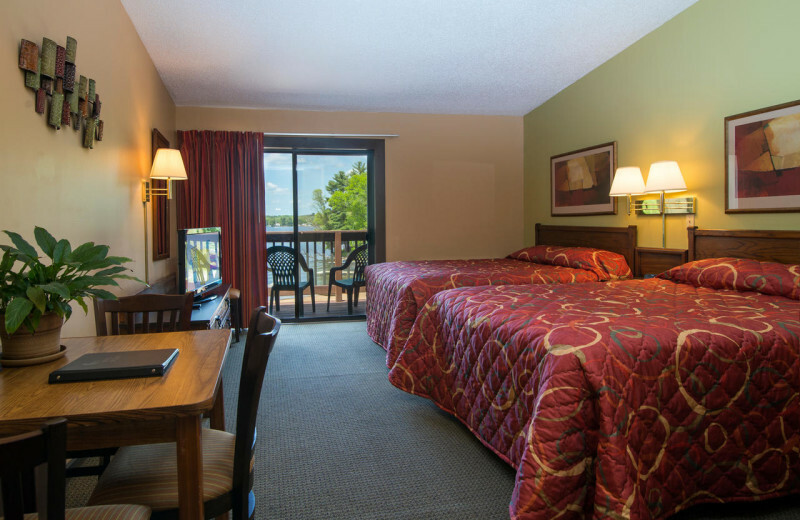 While the excitement of the Dells is never far away, Baker's Sunset Bay Resort offers a quieter, more relaxed Dells vacation. 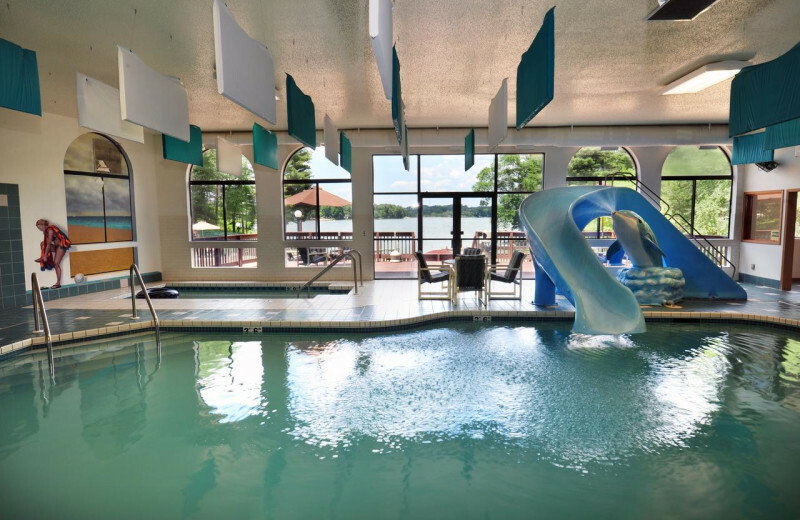 The resort has great pools and water slides – Dells specialties - but offers amenities that will make your Dells vacation soothing during any season. 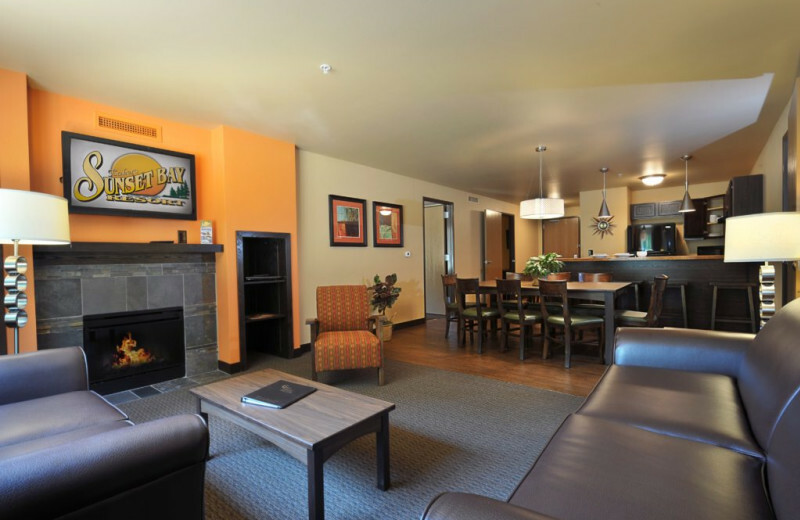 Stay in a luxury room or one of their new condos that are perfect for large groups and families! Sunbathe, explore the peaceful town and shops or take a nature walk – Baker's Sunset Bay is ideal for slowing down! Baker's Sunset Bay Resort has an indoor pool with water slides, outdoor pool, activity pool and nightly bonfires with entertainment during the summer season. 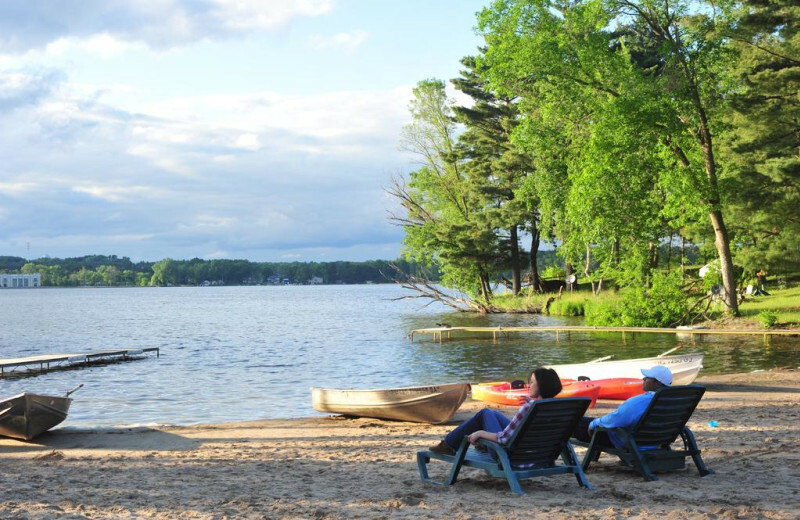 During the day, rent a pontoon from Lake Delton Watersports or just relax on the huge beach! This sandy oasis provides the perfect area for sunbathing and sand castle building! 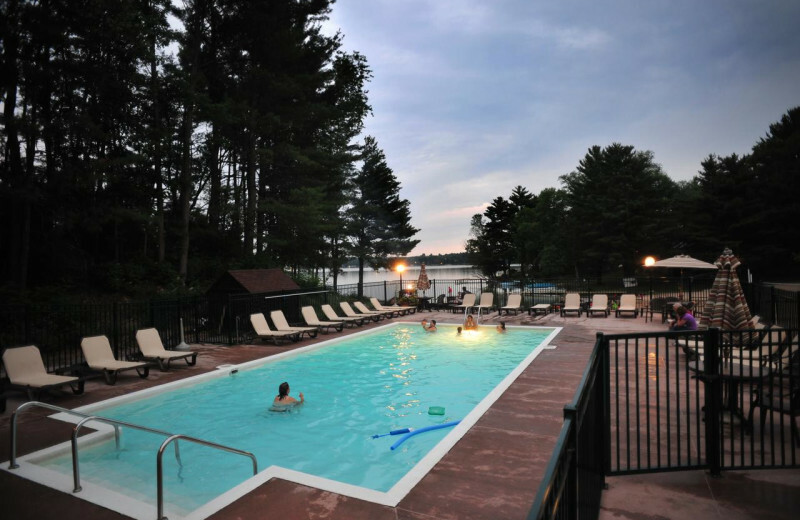 Located right on the shores of Lake Delton, this resort has all the water fun you could ever dream of! 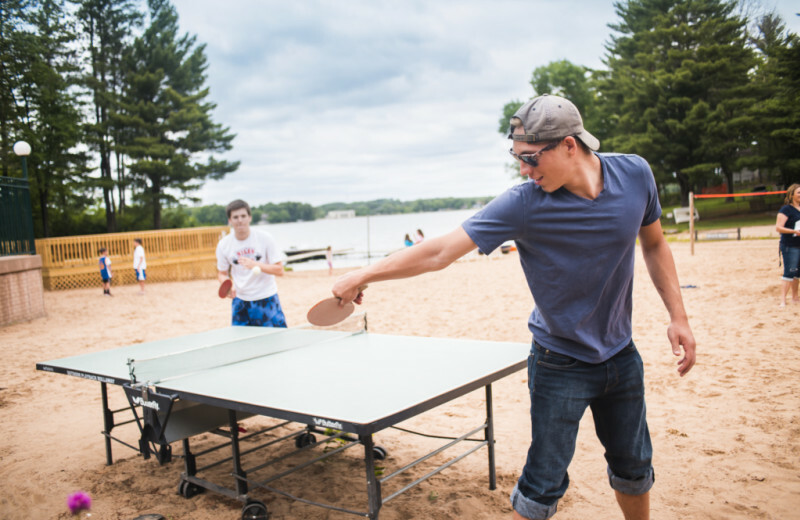 Within five minutes of Wisconsin Dells attractions, Baker's Sunset Bay also has action-packed activities of its own – many games including ping-pong are on site. Free passes to Riverview's Waterworld are included for each of your guests! 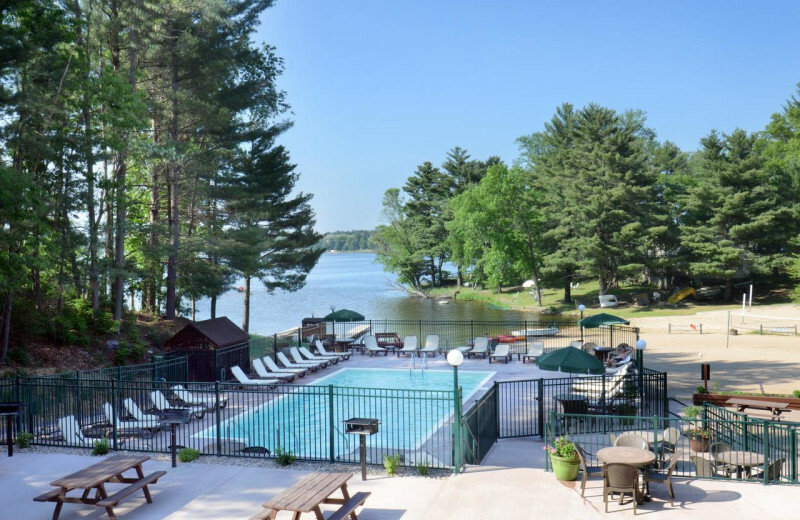 If you prefer to stay onsite, there are indoor and outdoor swimming pools, or your can just spend your day on the sandy beach along the shores of Lake Delton! Make sure to reserve the Canyon Room at Baker's Sunset Bay Resort when planning your next corporate retreat or team building session. Seating up to 80 people, this room is equipped with a flat-screen television, refrigerator and bathrooms, perfect for any type of meeting you're planning. 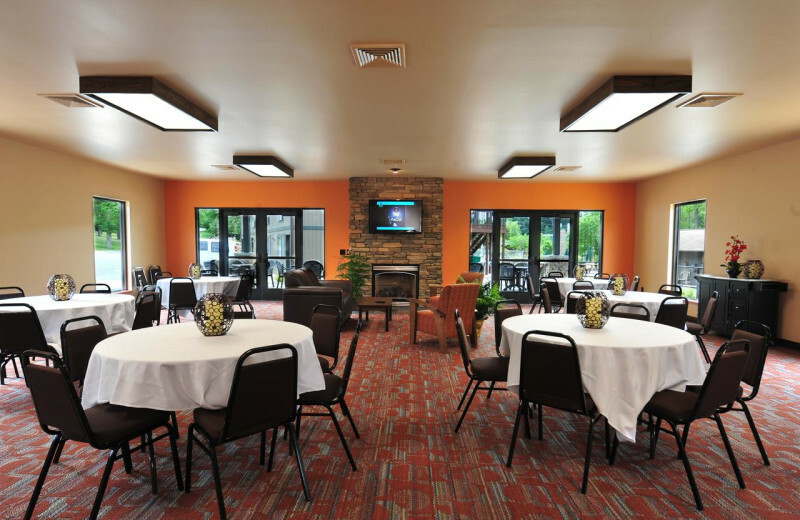 There is also an additional outdoor seating area for 30 people with a fireplace and grill. Give your entire extended family a reunion experience that people will be talking about for years to come when you plan your event at Baker's Sunset Bay Resort! The new 12-person family Canyon Condo units will provide enough space for even the largest groups and feature spacious living rooms, full kitchens and fireplaces. But, you won't be spending the entire event inside your comfortable accommodations! 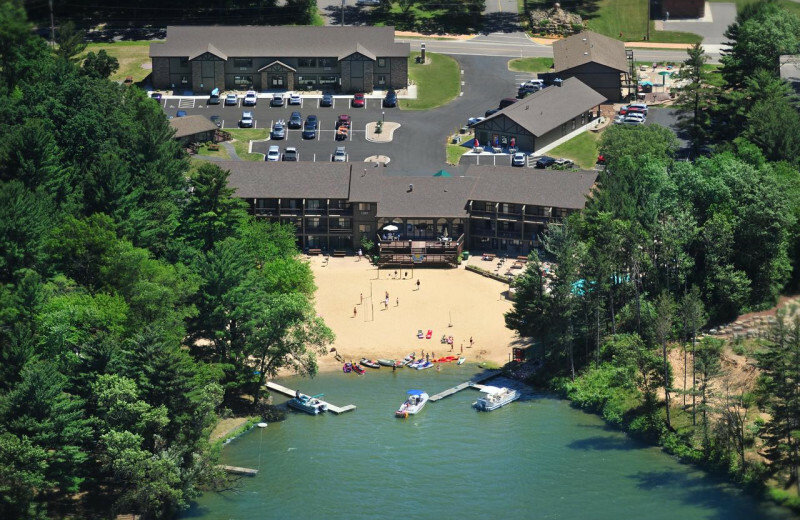 Spend a day on the sandy shores of Lake Delton, or take swim in the crystal clear waters. Indoor and outdoor swimming pools provides flexibility if the weather does not cooperate with your plans. 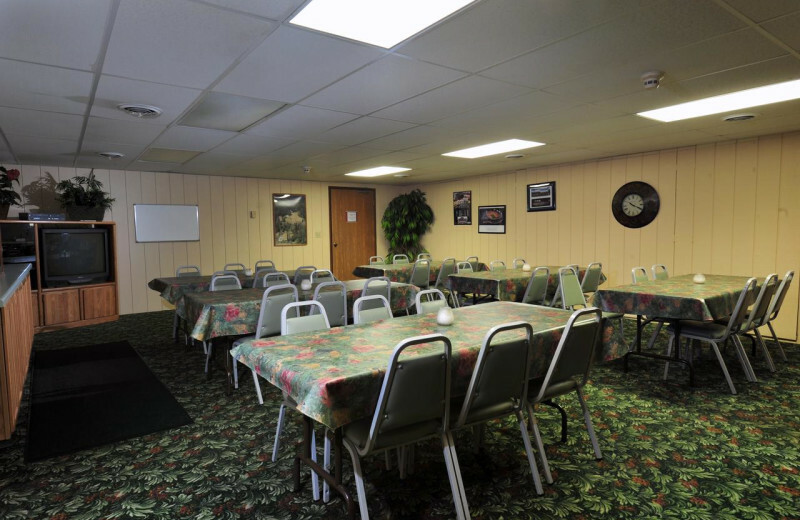 And, the Canyon Room provides a large meeting area where your entire group can enjoy a family meal! From your rehearsal dinner to the reception following your magical event, the wedding of your dreams can become a reality when you plan it at Baker's Sunset Bay Resort. Enjoy a private ceremony with Lake Delton setting a picturesque background. The Canyon Room can seat up to 80 people, and provides the perfect venue for celebrating the night away. 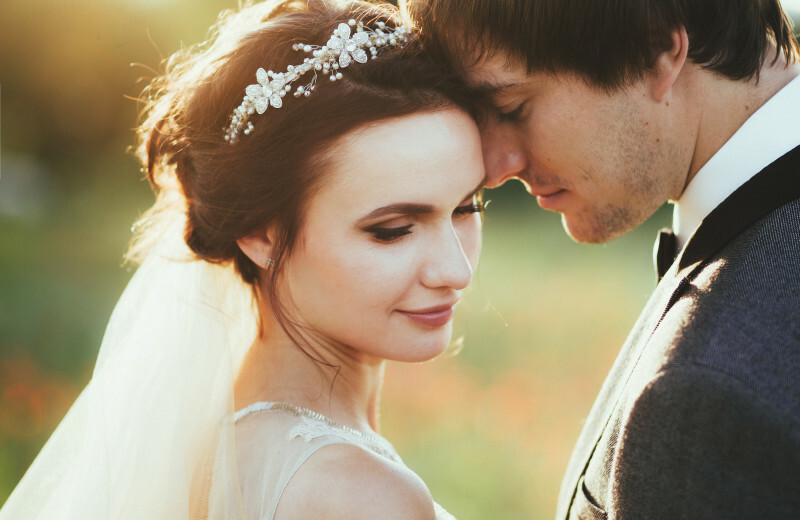 Treat your guests and yourselves to a once-in-a-lifetime experience when you tie the knot in Wisconsin Dells at Baker's Sunset Bay Resort. 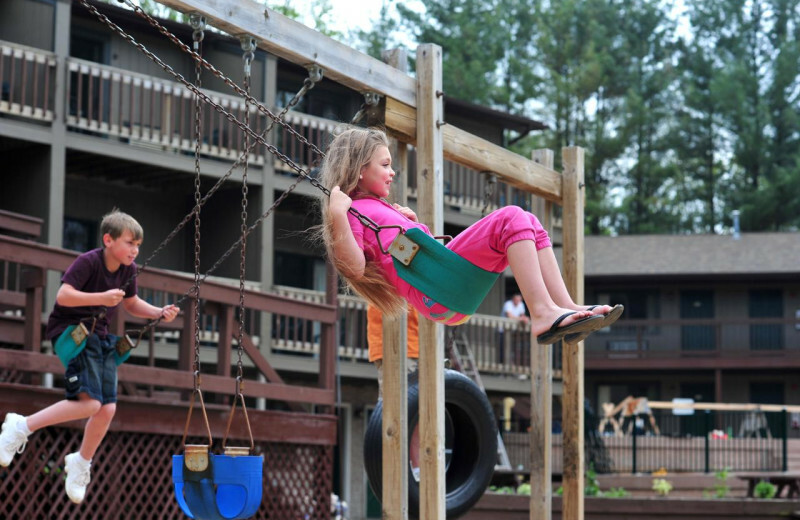 Located directly on the shores of Lake Delton, Baker's Sunset Bay Resort is the perfect spot for your family to enjoy an outdoor adventure in Wisconsin Dells. 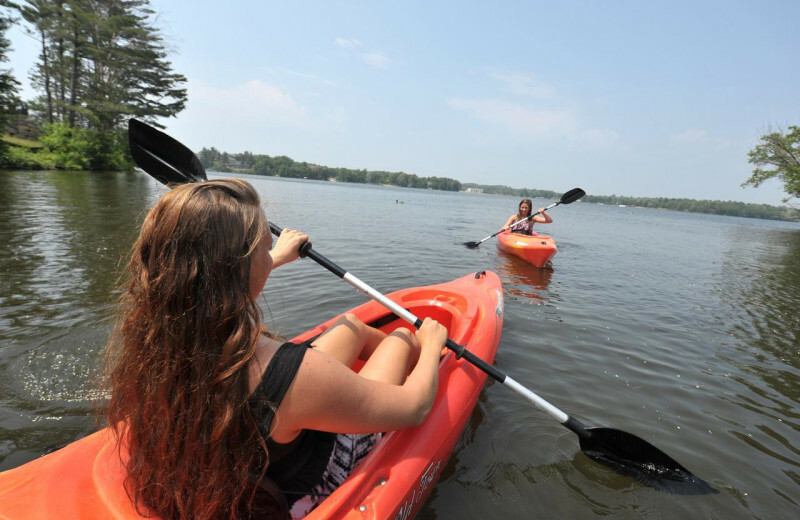 Row boats and kayaks are available to rent, free of charge, and are a great way to explore the lake at your own pace. You can also bring a larger group out on a pontoon rental for more of a festive atmosphere on the water. 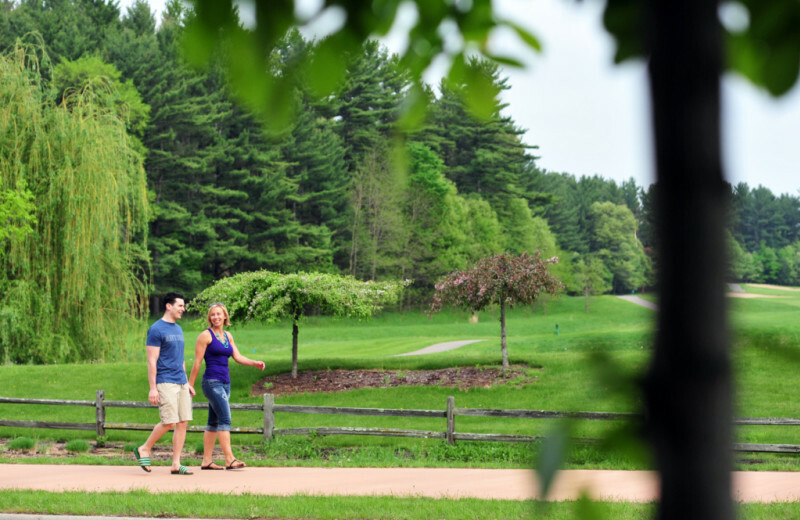 There are plenty of trails to hike along the shores of Lake Delton, so start planning your own outdoor getaway today! 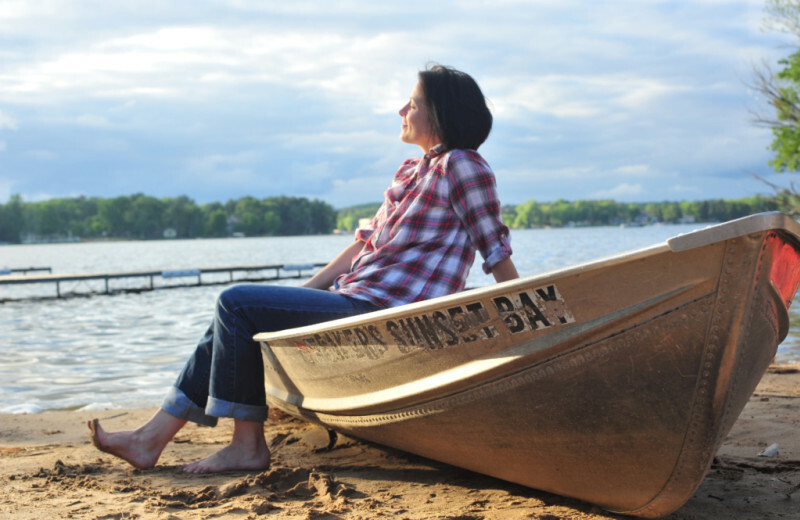 Make sure to bring your fishing pole with you when you travel to Baker's Sunset Bay Resort. 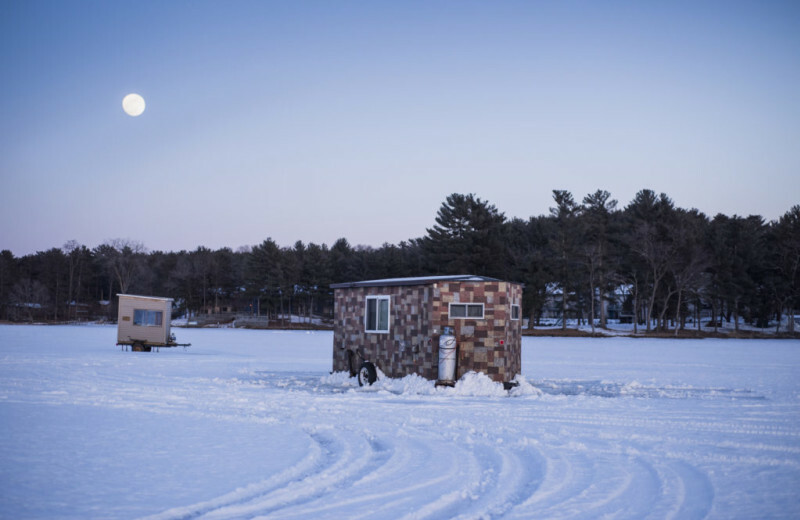 Lake Delton sits just steps from your front door giving you prime access to some great fishing waters. Panfish, including bluegill and sunfish, are the most common species in the area, and will make a great meal for your group at the end of a fun-filled day! 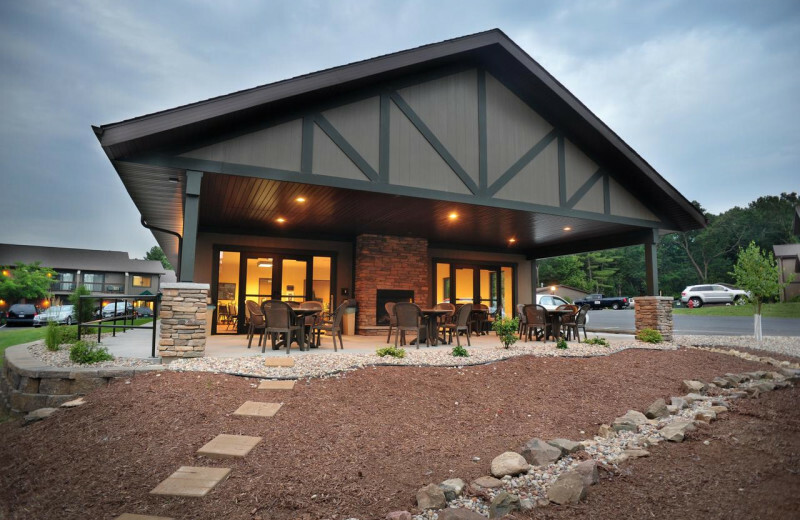 With its wooded location near exciting Wisconsin Dells, the charming aura of Baker's Sunset Bay Resort may make you want to stay longer on your Wisconsin romantic getaway. 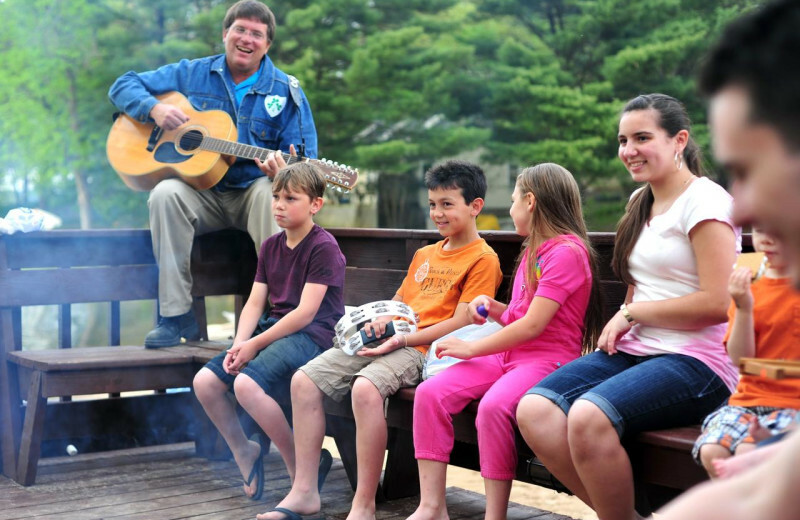 Nightly bonfires are great for bonding and snuggling on cool Wisconsin evenings! 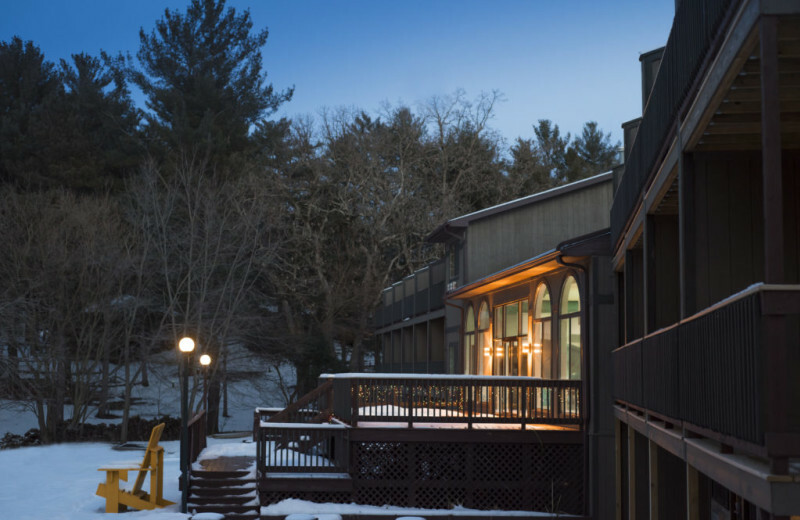 Return to your cozy accommodations and warm up in front of a roaring fire, or reserve a Jacuzzi Suite and enjoy a private evening together! 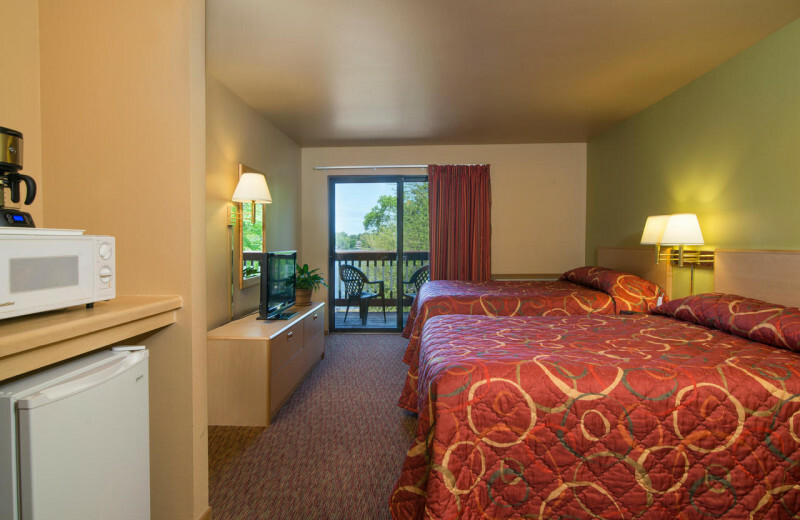 Your pets are always welcome at Baker's Sunset Bay Resort in designated pet friendly rooms. Upon your arrival, you will receive a little treat bag for your pet and instructions as to where you can walk your pet. 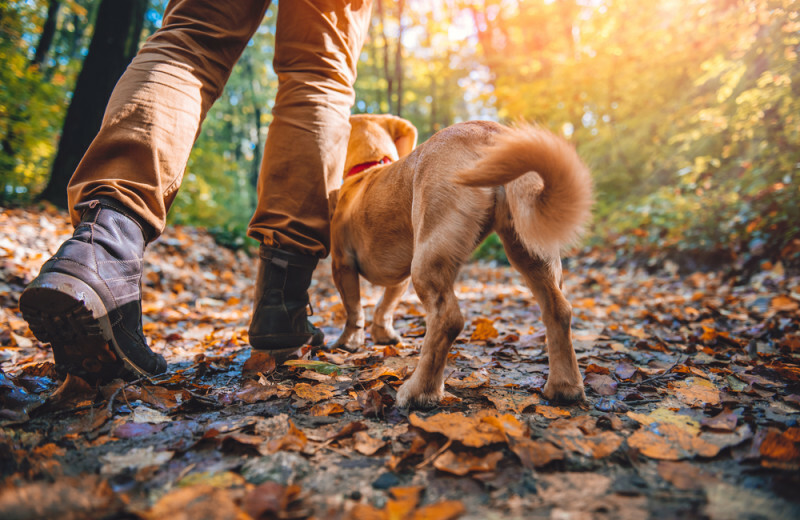 Make sure you bring the four-legged member of your family the next time you travel to Wisconsin Dells. 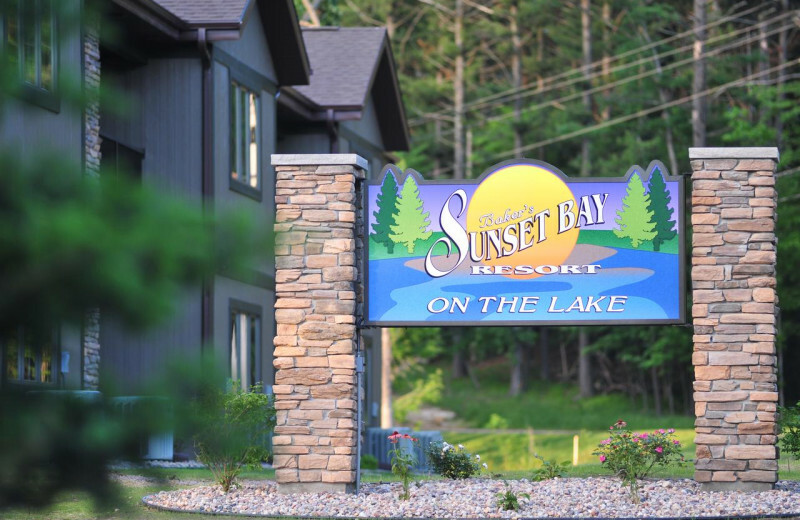 Located right on the beautiful Lake Delton, Baker's Sunset Bay Resort is the lake getaway you've been looking for. Stay in one of their luxury rooms or condos with stunning views, and spend your days out on the beach! From fishing to fun watersports, there's plenty to do and enjoy right onsite! 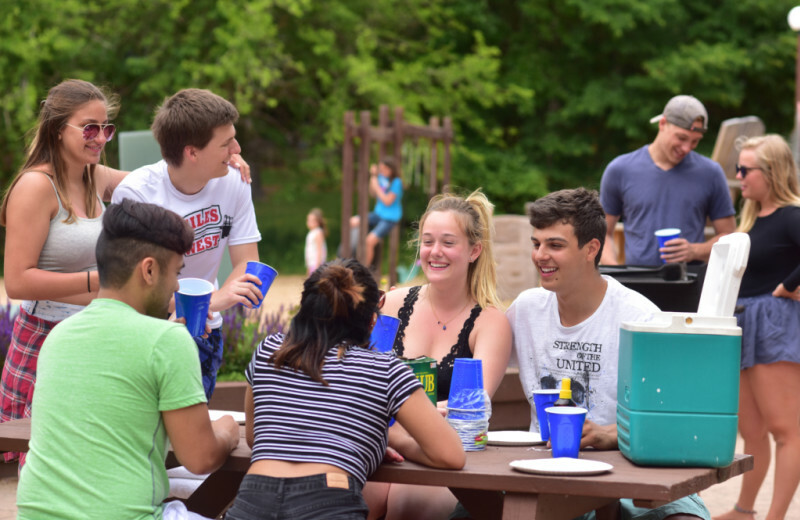 When you mix the wet-and-wild fun of Wisconsin Dells, the Waterpark Capital of the World, with the picturesque beauty of Lake Delton, you'll truly create unforgettable honeymoon memories. This is exactly what you'll find when you book your getaway at Baker's Sunset Bay Resort. 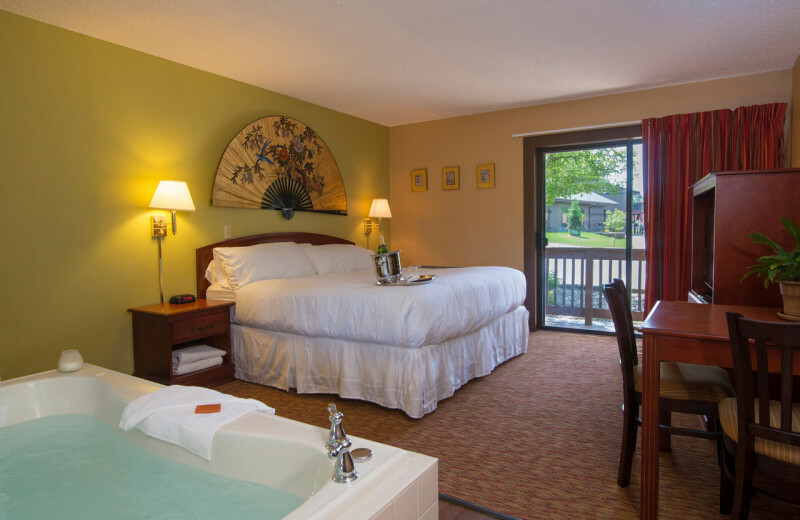 Jacuzzi suite accommodations will add a romantic ambiance throughout your stay, and there are plenty of great activities you can enjoy together. 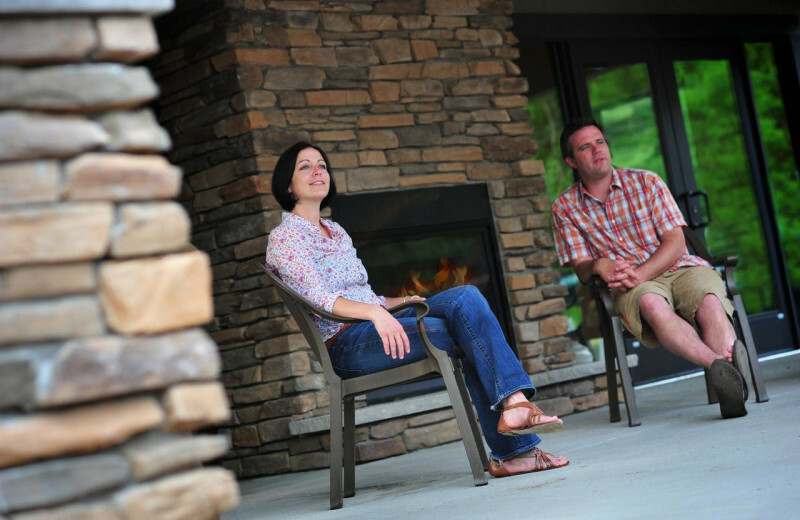 Don't wait any longer to plan your ideal Wisconsin Dells honeymoon! Full kitchens for preparing your finest dishes are available in the inviting shoreline cottages at Baker's Sunset Bay Resort. Choose from one- or two-bedroom cottages that highlight one of the prettiest areas in the Midwest – the Wisconsin Dells. For larger groups, the new 12-person Canyon Condos offer plenty of space as well as fireplaces and a balcony area with outside seating. The Wisconsin Dells is the perfect summer vacation destination. Pack up the kids and head to Baker's Sunset Bay where you'll be surrounded by waterparks, shopping, mini-golf and so much more! Your days will be filled with fun in the sun. Come for Memorial Day, Labor Day or the Fourth of July! You and your group will have memories to last the whole year! 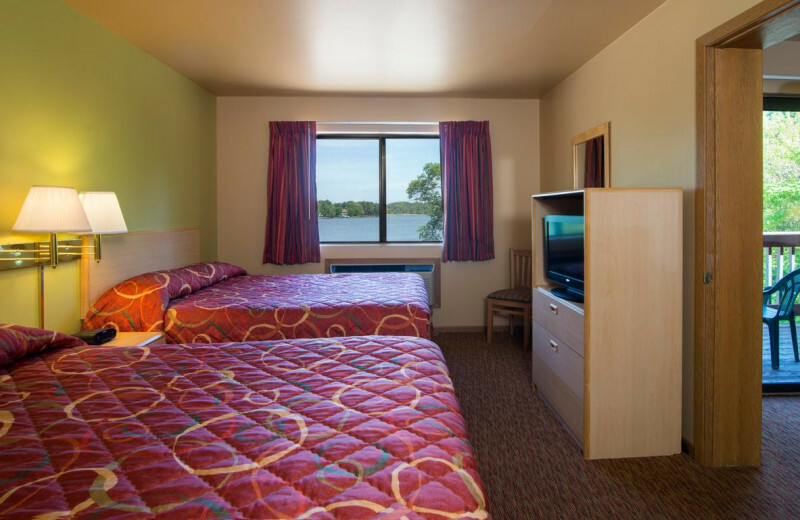 Baker's Sunset Bay is located in Wisconsin Dells, which is surrounded by waterparks! Just a few minutes away is Noah's Art, America's largest waterpark. 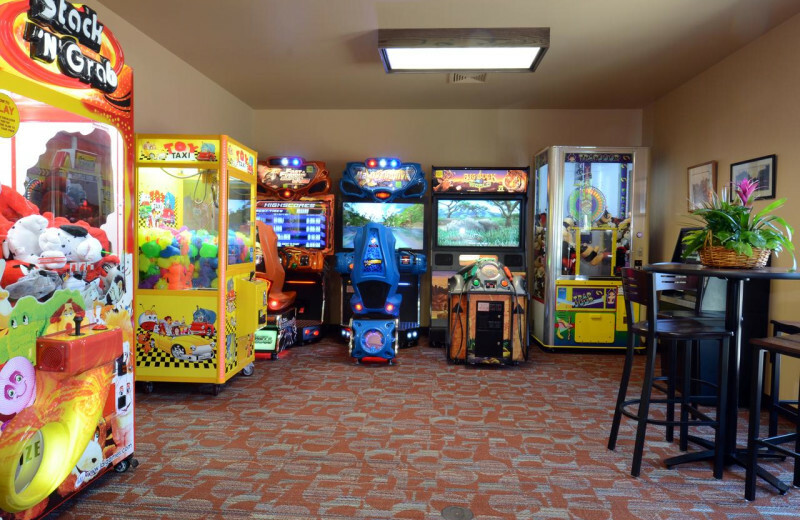 You and your group will have tons of fun when you come to the Dells. Book your next vacation today! 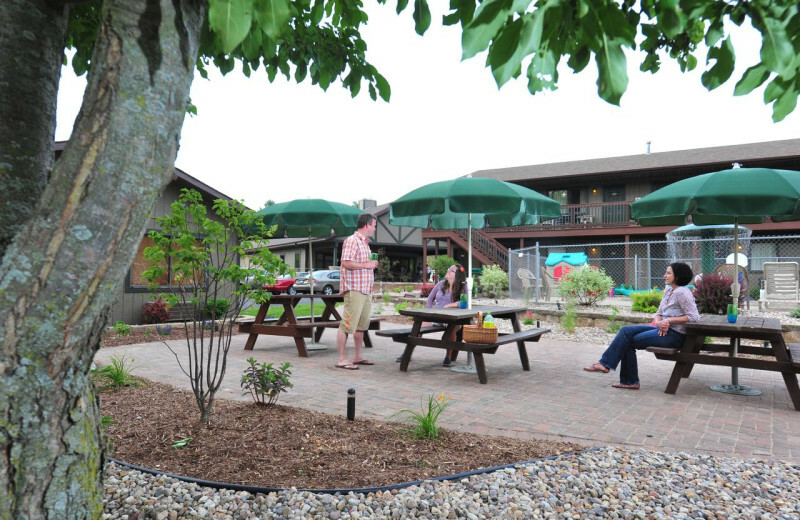 This property is ranked number 1 on Top Lake Delton Family Beach Resorts. Read about it here.